Every so often there comes along an album that makes you close your eyes and slowly drift into a calmly pensive state, unburdened by stress and responsibility. I believe that Beck’s Morning Phase is that album. Released as a “follow-up” to 2002’s Sea Change, Morning Phase is wonderful. 30 seconds into my first listen and I was already convinced. Sea Change is one of my favorite sad and pensive albums. It is full of heartbreak and mourning but with elements of hope. Morning Phase follows the same tone. The acoustic melodies strum slowly through Beck’s melancholy lyrics. Violins and harmonic background vocals create a lush yet delicate sound. It is hard to know what exactly Beck was going through when writing and recording this album but I feel his emotions as deeply as my own. I was immediately drawn to “Heart is a Drum,” “Say Goodbye,” and “Blackbird Chain,” but each track has interesting elements. 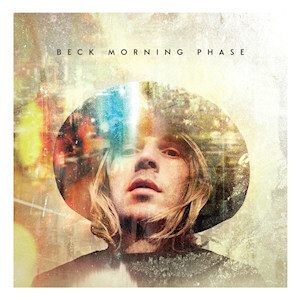 Morning Phase works both as a “sequel” to one of the most beautiful albums of the 2000s and as a stand-alone journey through Beck’s psyche. As the album glided along, I inadvertently found myself leaning back in my desk chair, imaging a warm and hazy sun radiating from the clouds. The view was much better than my current scenery, full of dirty ice mounds and slushy street corners. It was sensational.